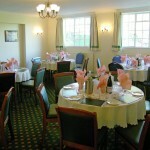 Our comfortable Clubhouse has excellent facilities. As well as the Main Club Room and Players’ Bar, we have three comfortable Lounges, two with large flat-screen TVs for the use of Members and their guests. Use the menu on the left to find out more about the Gerry Bowthorpe Room, Marlar Room and Martin Turner Bar. 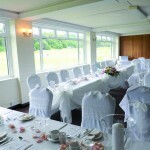 Members of Whitgift Sports Club may hire the Clubhouse for a private party or wedding reception at a preferential rate. All catering must be provided by our resident caterer. The Gerry Bowthorpe Room offers the ideal location for a Wedding Reception with views across the tranquil grounds providing the perfect backdrop for photographs. 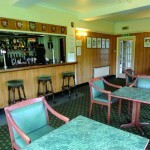 Break-out areas into any of the Clubhouse’s three bars can also be made available. We would be pleased to provide a quotation based on your specific requirements which we feel sure will offer excellent value. For those playing Sport, there are excellent, individual team changing rooms, showers and a medical facility including a Physiotherapist. Parking is available in the Grounds or in the surrounding residential and traffic free roads.